Germany and French company Alstom have signed an agreement that will see 14 hydrogen-powered trains built and used in the country by 2021. On a single hydrogen tank, the trains can travel 1,000 kilometers and reach a top speed of 140 km/h (87 mph). 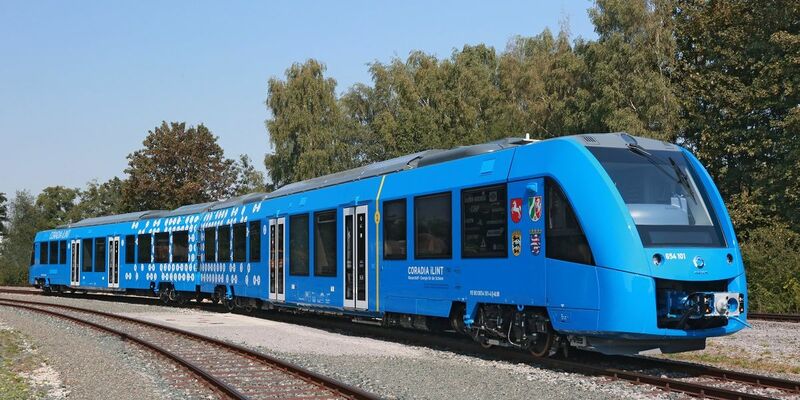 As the shift from diesel engines to clean energy continues, German and French engineering company Alstom have signed a deal that will see the latter building a series of hydrogen-powered trains that will go into service starting in 2021. Alstom stated it will build 14 emissions-free trains, called Coradia iLint, that can travel 1,000 kilometers (621 miles) on one full hydrogen tank, and can reach a maximum speed of up to 140 km/h (87 mph). As noted by Reuters, the agreement and subsequent announcement arrives around the same time as climate change discussions were taking place in Bonn, Germany. During these talks, nearly 200 countries came together in an attempt to improve their climate change plans and develop a a global climate accord. Hydrogen-powered vehicles, much like Toyota’s hydrogen trucks, only emit water vapors during operation, making them an incredibly eco-friendly alternative to diesel that won’t produce harmful emissions and worsen global warming. Alongside the efforts of other automakers like Honda, and projects like Project Hesla, it’s become apparent that people want to invest in hydrogen fuel cells, as its both cheaper and better for our environment.